No matter where you are in your career journey, it’s clear that many employees run into similar roadblocks. “How do I have an effective conversation with my boss about the next steps in my career? Will I come across as too pushy? 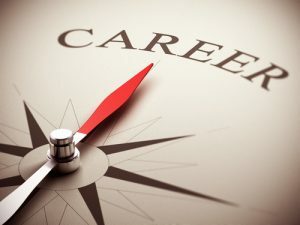 What if I’m told I don’t have what it takes for the role I’d like to have?” Whether you are an intern looking to move into a full-time position, an individual contributor who’d love to become a supervisor, or a mid-level manager desiring an expanded role in leadership, the process is the same. That process starts with a key principle that Jack Canfield shares in one of his many books, The Success Principles: How to Get from Where You Are to Where You Want to Be. Principle #1 states: Take 100% Responsibility for Your Life. In a nutshell, this principle is about taking ownership. It’s about recognizing and accepting that if your circumstances or experiences are not as you’d like them to be, that it’s up to you to do something about it. It means giving up on making excuses, blaming others, or listing all the reasons why you haven’t taken action in the past. Forget the past. You have from this day forward to make a different choice. As this principle relates to your career, own what you want and take responsibility for your career growth and development. No one cares more about your career than you. Now that you’re in the driver’s seat, let’s take a look at some key tips to help you prepare for and conduct an effective career conversation. Schedule an appointment with your boss. Find a good time on the calendar to schedule 30 minutes over a cup of coffee. Regardless of how much your boss has on his/her plate, they can find 30 minutes to talk with you. In your request, be sure to share what you want to discuss so they can be prepared and know what type of support you’re seeking. Prepare for the conversation. Do your homework in advance. Find out as much as you can ahead of time about what your desired next step role requires. Take an inventory of your accomplishments, skills, and experience and match them up with what is required in the next role. Taking the initiative in this way demonstrates your professionalism and your commitment to growing your career. Conduct the conversation. Share your goals with your boss. Discuss your thoughts on where you believe you’re ready and the gaps you need to fill. Ask for feedback. How ready does your boss see you? What specific skills and abilities will you need to develop? What opportunities exist for you to take on a special project or stretch assignment to gain those skills and abilities? Ask for what you want and be ready to commit to taking the necessary steps to get there. Agree to next steps and schedule a follow-up meeting. Ensure that you wrap up the meeting with specific next steps to take to begin working toward your career goal. Ask for any support that you need from your boss. Draw up a specific one to two-year plan and schedule another time to meet to discuss and finalize your plan. Monitor your progress and continue to ask for feedback and guidance along the way. Having a career conversation with your boss will help you clarify the next steps in your career and start the momentum toward achieving your goals. Remember, the ownership for your career is in your hands and reaching out to your boss for support and direction is a great beginning.